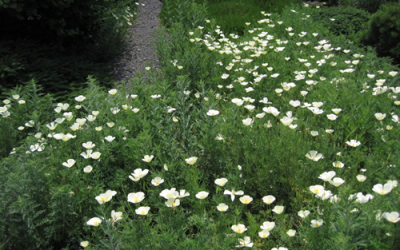 To begin, choose an odd number of flowers plus a grass. Each flower should be a different color and shape with a different leaf pattern. Wash and clean the leaves to remove any dirt, and re-cut the stems under water. The water is immediately drawn into the flower, revitalizing it. Place the flowers in your hands as you would have them in the vase. Take off any leaves that make the stems seem crowded. 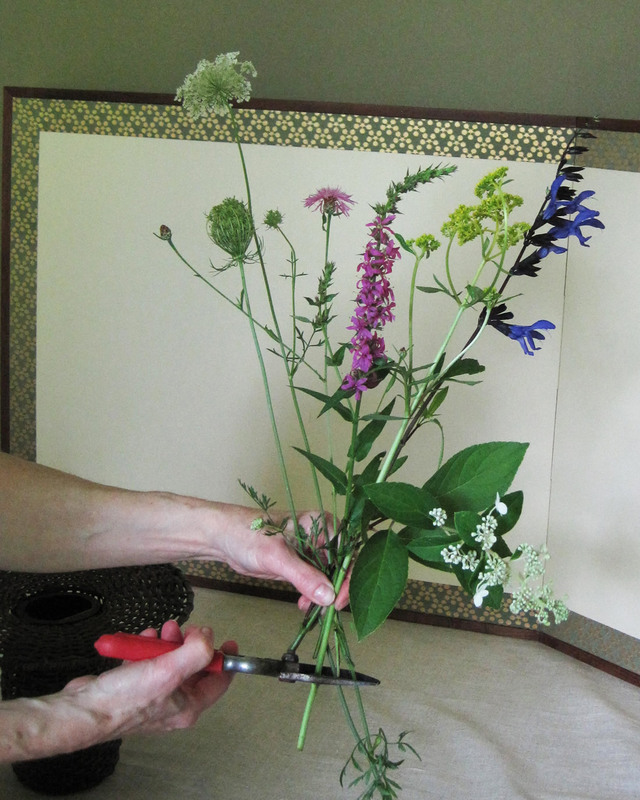 Once you have adjusted the height of the flowers, cut the stems so they are even at the bottom. 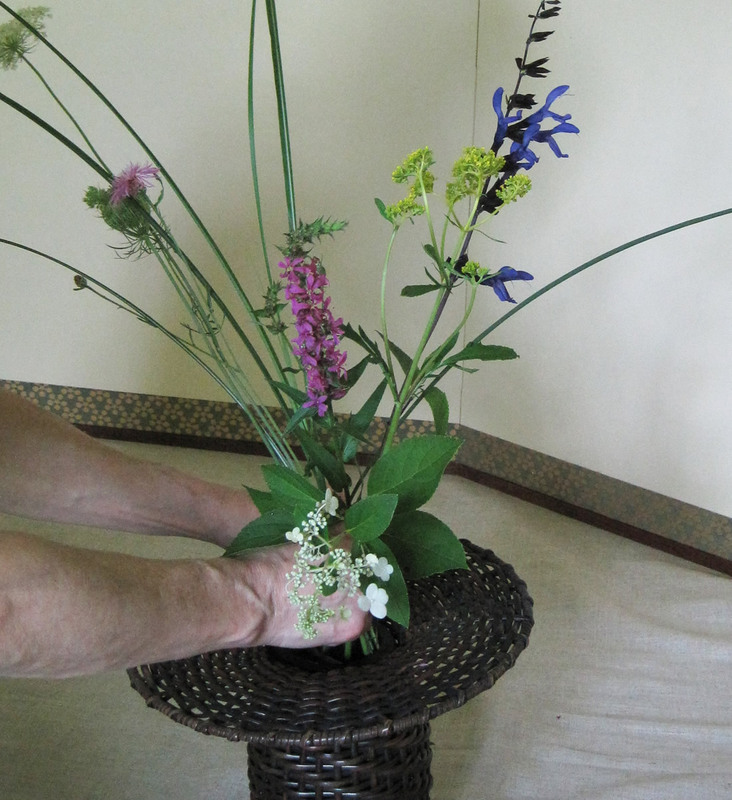 Hold the flowers lightly in your hands and then place them carefully in the vase. It is said that flowers should be placed in the vase with one breath. They should look as if they were growing wild in a mountain field and should feel free and natural. 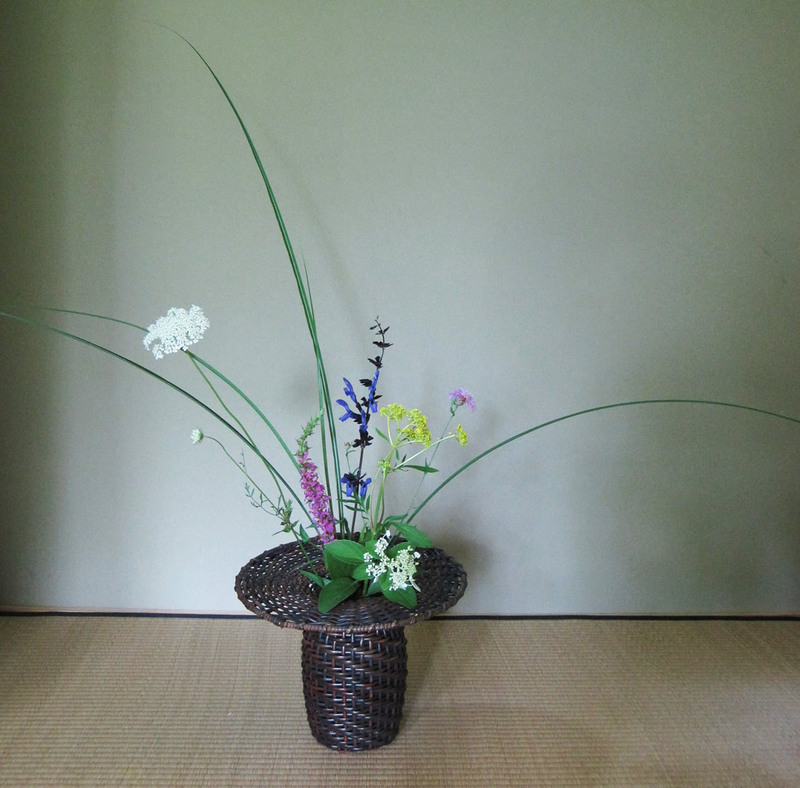 Baskets and bamboo containers are used in the summer because they have a feeling of airiness and coolness. 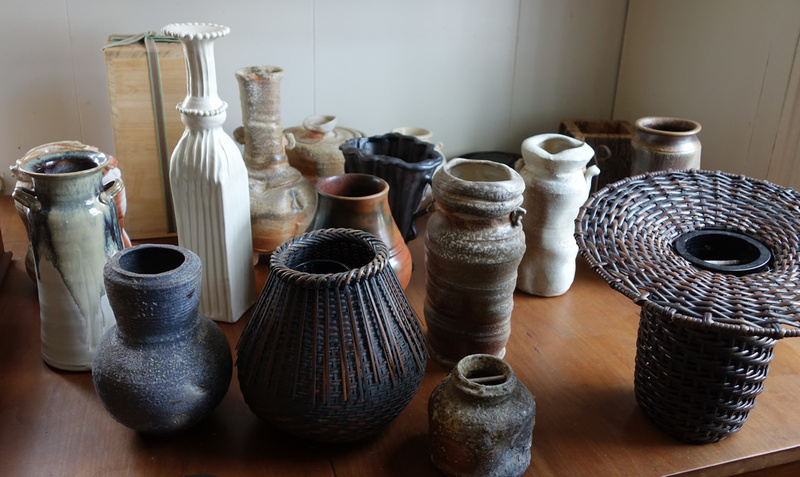 Porcelain, bronze, and unglazed pottery are used in the winter. 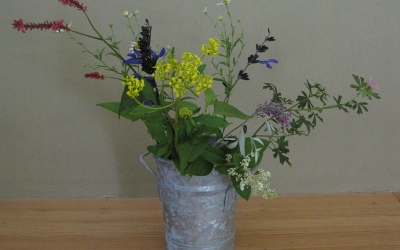 In early summer, when there are fewer flowers in the garden, you might have two or three in the vase. 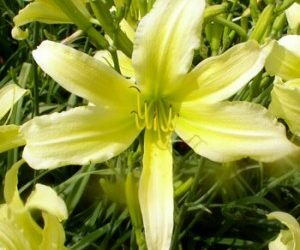 As summer progresses and more flowers are available, the number will increase. Little by little, as autumn approaches, the number of flowers will decrease, so that by the end of autumn there will only be one or two for Chabana. 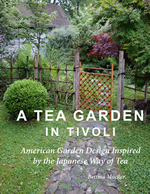 It’s a great delight in the cold autumn to go out into the garden hunting for those late lingering flowers: salvia, toad lily, cimicifuga, Japanese anemone. The grasses at this time have flowered with beautiful plumes. Each flower can be seen. We have different colors and shapes. The miscanthus grass fills the space with a light, airy feeling. 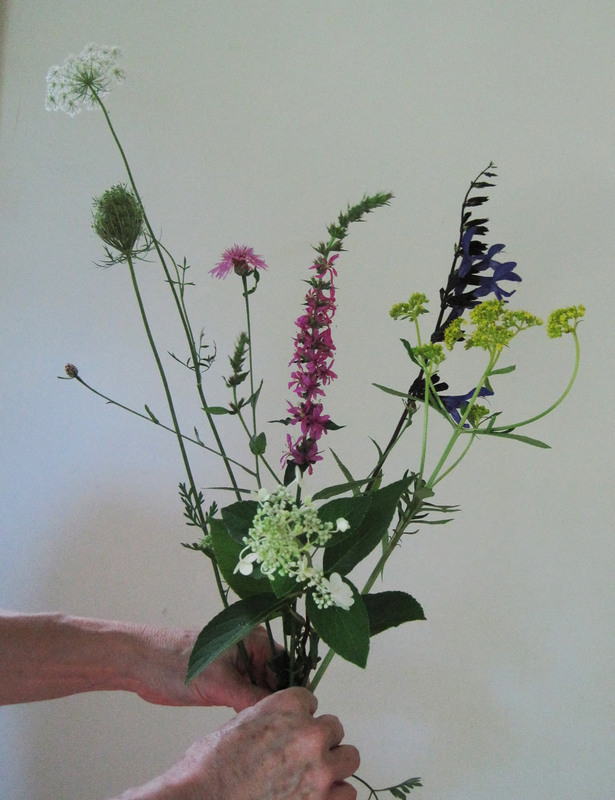 The flowers: Queen Anne’s lace, yellow wild parsnip, purple loosestrife, pink mallow, blue salvia, and hydrangea. 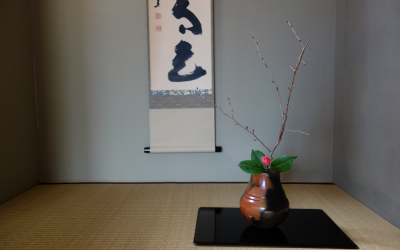 The vase is a Japanese basket in the style of an upturned Korean gentleman’s hat. 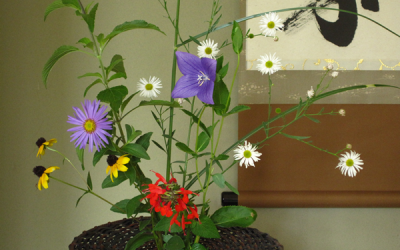 Use the principles of Chabana for flowers around your house. 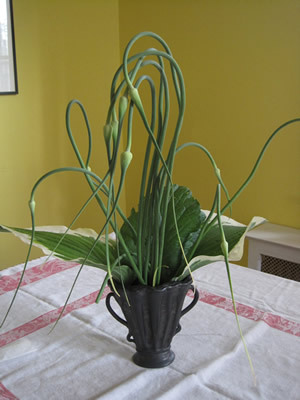 A friend gave me some garlic scapes this summer. Instead of roasting and eating them, I put them in a vase with hostas. Like flowers for tea, I placed them with “one breath” and it was beautiful. 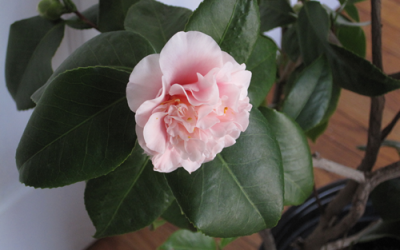 Winter is over and so too are Camellias. They bloom from December into early April. Here are the last blooms from my plants which I overwinter in a cold room in my house. It"s almost February and today it"s snowing. I"m starting to put together my spring wish list. The basket is in the shape of an upside down Korean gentleman"s hat. 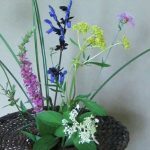 The flowers: the first lily of the season, a Penstemon, my favorite Chinese Meadowrue, a Balloon flower and a Miscanthus grass. 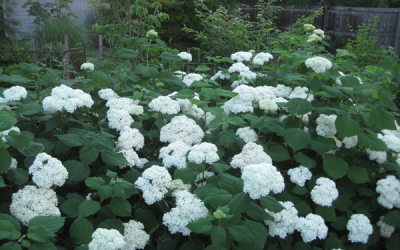 Annabelle Hydrangea in June seem like waves of surf. The tea house can be seen in the far back, cool in the green shade of the afternoon.